Hello plannersphere. I have an announcement to make. StrawberryFrog Amsterdam has decided to bring me on as their [regional] head of planning. And then before I even have a chance to finish the post I’m leaving, they go and win Emirates Airlines in an epic pitch. How is a girl supposed to sleep with excitement like this? But I didn’t open up the “new post” window in WordPress simply to brag. I learned today that I need to hire four people. Now I’ve been doing this planning thing for a while now. I’ve been lucky enough to work for and with some of the best planners. But I’ve been taking notes and there are a few things I will do differently. They mainly fall into the category of development and nurturing. For starters, just getting our work done isn’t going to be enough. I’m going to start “novelty hour” where every week we go and do something new together whether it’s making a StrawberryFrog themed craft and putting it up for sale on Etsy or attending a session of meditative chanting. My planners are going to have to take turns coming up with stuff to try. And we’ll work together to figure out more ways to broaden their individual skills and build on their unique talents. Senior candidates. I’m looking for a minimum of 8 years experience. This is necessary to be able to import people without EU passports. I can get you a work permit. I’m looking for people who want to take on adland and change the world. People who are global citizens, marinate in culture, travel as much as you can, maybe speak a few languages. I’m also looking for digital astuteness. What personal projects have you taken on just because it seemed like something cool to do? I need you to love this stuff as much as I do. If this sounds like the challenge for you and you’re ready to move to Amsterdam, let’s talk. Ping me on twitter @hklefevre and we’ll take it from there. Previous Post Hey Romania, what’s the deal? Congratulations. and all the best for the new job. Congrats and good luck . You’re not only joining a great team but also making it greater. Go for it! Congrats Heather! 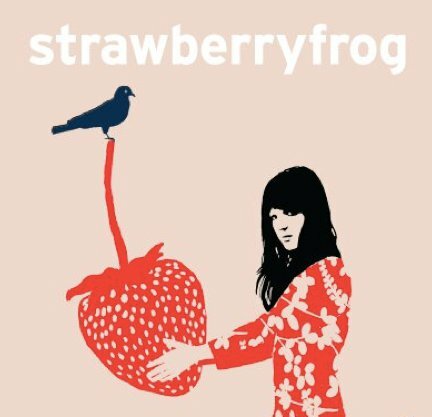 Saw an article this morning, thought of you after someone mentioned you were headed to Strawberry Frog and then Viola! You confirmed it all. Cheers! Hey Heather, Welcome on board! Glad to have you in the agency… We should chat very soon! Congratulations! What exciting news! Definitely deserved. All the best to you girl! congratulations heather! best of luck in the new gig. Thanks everybody. Really appreciate the love and encouragement. Can you get me cheap flights? Heather! Will mis you here at Tribal but ofcourse wish you all the best at StrawberryFrog. That’s great news, Heather. Congratulations! I have a few folks I’d like to share this opportunity with. Take care. I love that the ability to stalk people down on the internet is required. Is there any wiggle room with the little EU passport requirement thing? I’d love to submit myself and, as a person who has lived abroad a few times, I’m sure getting a visa can’t be too, too tricky. Congratulation!!!! It is a very nice staff for us!